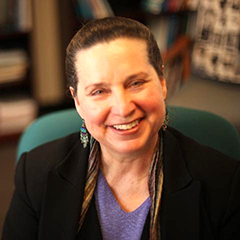 GSE Counseling Psychology Professor Margo Jackson, Ph.D., recently accepted re-appointment to a two-year term as a resource person for the Fordham University Board of Trustees’ Mission and Identity Committee. As part of this work, Jackson presented at the committee’s September meeting on her participation in a summer professional development program with 25 colleagues from other Jesuit colleges and universities. The group visited sites in Spain and Italy to “Follow in the Footsteps of St. Ignatius of Loyola” and consider the relevance of the Jesuit mission as contemporary educators.